Melbourne pro punter Trevor Lawson with his numbers for the Flemington quaddie on Turnbull Stakes Day. 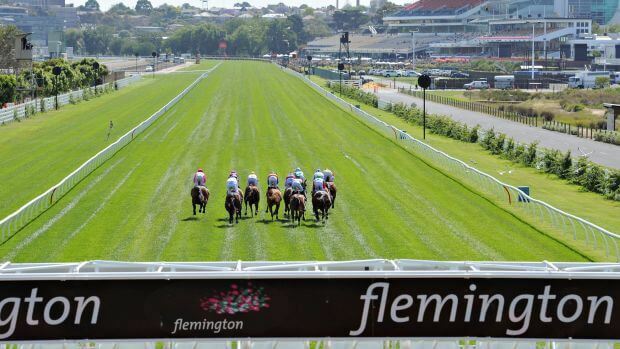 Rail was out to 14m at the last Flemington meeting 10 days ago. It’s back to 9m here so obviously there’s 5m of fresh ground on the inside. Think they’re aiming for a good 4 and possibly upgraded later. Likely to have more give in it than normal with Winx in town. No wind, expect the track to play even. Hans’t been suited at shorter trips and by the way races have been run recently. Gets out to mile which suits. Blinkers go on and should hit the line hard. Carried the full penalty last start. Comes back to level weights here. Battled away well over the shorter trip. Has claims. Looked disappointing last start over 1800m but pulled up with an issue. Previous form solid. Maps well. Progressive filly who is unbeaten this prep. Continues to improve. Can go to new level. Worked home nicely over shorter trip. Looks suited at this distance. Impressive winner in weaker class. Ran terrific time and looks improving type. Superior stayer who walked in last start and drops in weight here. Should be able to handle these. Won this race last year when it was run a week earlier. Produced a big figure over 2000m last start in quickly run race. Looks a natural stayer. Does jump quickly to 2500m here. Honest. Stable said they’ll ride him forward. Solid claims. Ran well 1st up when narrowly beaten. Maps well here and only has to hold rating to be competitive. Ran well 2nd up. Races on the pace here. Another that only has to hold rating to be a chance. Racing well this prep. Not suited last start. Shouldnt have any trouble with the 1400m here. Ran well 1st up when caught wide facing breeze. Strips fitter here and has good record this trip. Good run 1st up. With natural improvement should improve here at this trip. Solid run 2nd up over this distance. Produced peak figure this track and distance last prep. Could have put 10 horses in the last leg. Had excuses both runs this prep. Blinkers 1st time. Sydney-sider coming down here and the stable has a habit of improving them dramatically. Hit the line OK 1st up when not suited. Has good bank of ratings from previous prep. Often runs really well 2nd up. Hit the line terrifically over 1400m last start. Will be charging late. Good run last start racing up on the pace. Will get similar run here. Only has to hold rating here. Caught wide last start before peaking on run late. Has good record 3rd up from spell.